Most of the albums by well-known bands and singers sound very good because of aligned teamwork of musicians, sound engineers, and record producers. 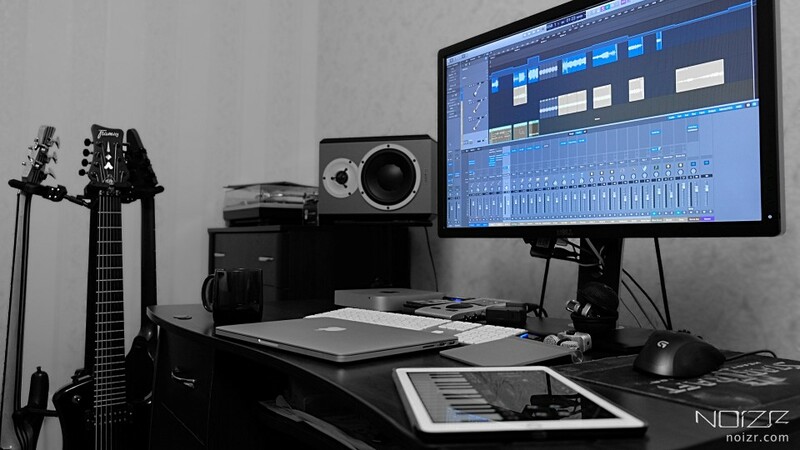 However, if earlier the recording of the single or full-length album took place only at the studio with a producer, then nowadays modern technologies give many musicians a free hand. Now, most of the beginners see their living room as an alternative to expensive studios, where the place of professional sound engineer took the band’s member who has figured out how to use GarageBand. Someone does mixing, mastering, production to save money, the other one — to control everything by himself. But as a rule, due to lack of experience and sometimes the taste, the final result is a very raw and poorly-sounding product. Why does this happen and what are the main mistakes of home production — our experts, producers Jaime Gomez Arellano (Ghost, Sunn O))), Paradise Lost), Kristian 'Kohle' Kohlmannslehner (Aborted, Crematory, Powerwolf), Lasse Lammert (Alestorm, Gloryhammer), and Jonny Maudling (My Dying Bride), have answered to these and other our questions. Jaime Gomez Arellano is a Colombian musician, producer, and owner of Orgone Studios based in London. 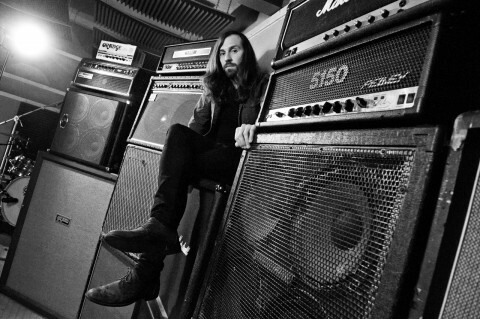 Among his clients are Sunn O))), Ghost, Paradise Lost, Electric Wizard, Opeth, Cathedral, Plan B, Inquisition, Burzum, Breton, Art Brut, Age Of Taurus, Ulver, Hexvessel, Primordial, Aura Noir, Pilgrim, Nidingr, Myrkur and many other bands and artists. Most of the releases, in which Arellano had contributed to, received nominations and reached positions of various charts, as well as highly appreciated by the critics. Ghost’s debut album "Opus Eponymous", produced, mixed and mastered by Arellano, was nominated for the Swedish Grammis as "Best Hard Rock Album" and called "a 21st-century classic" by PopMatters. Paradise Lost’s LP "The Plague Within", mixed, engineered and produced at the Orgone Studios, got into charts of 12 different countries. The album "The Last Spire", by presently split-up band Cathedral, reached #24 position on the US Billboard chart. In addition to working in the studio, Jaime Gomez Arellano is also a drummer in Blutvial, Mirror, and Septic Tank bands. "The lack of really good sounding recording rooms. I find that a lot of so-called "producers" in the metal world are relying on the same software, samples, emulators etc. so everything is sounding the same. Either that they're just recorded poorly. You also don't get the musical insight from a producer like myself, who gets involved in songwriting and arrangement before entering the studio." "The record that I thought sound amazing in recent years is "Black Gives Way to Blue" by Alice in Chains." "I'd rather not say. Basically, I think a lot of metal producers are relying on the same old tricks and it's getting really boring. I make every album from zero and with a clean slate, no "presets" etc." Kristian 'Kohle' Kohlmannslehner is a German-Swedish musician, composer, and music producer. Since 1999, he has worked with such bands like Sieges Even, Hämatom, Crematory, Powerwolf, Eskimo Callboy, Subsignal, and Aborted. The releases, which Kohlmannslehner has dealt with, frequently got into European music charts (including Crematory’s "Klagebilder", Powerwolf’s "Blood of the Saints" and "Blessed & Possessed", Eskimo Callboy’s "We Are The Mess" and Aborted's "Retrogore"), and also received high ratings from music critics. 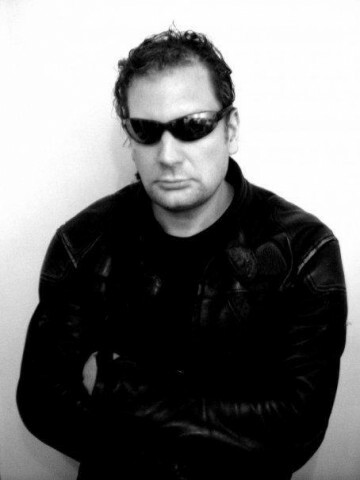 In 2009, the producer was nominated for "Best Metal Production" by the Danish Metal Awards for his work on The Burning’s LP "Rewakening". In addition to work at the Kohlekeller Studio, Kohlmannslehner also has a solo-project Another Perfect Day and takes part as a session musician in recording releases of Aborted, Benighted, Six Reasons to Kill etc. "First of all, I have to say that home recording has become a million times better compared to 15 years ago. That's of course because everything is digitalized and people can use their home computers to make music instead of expensive, specialized hardware. But what matters as much as all the equipment is the ear of the engineer. If you don't hear that something is wrong technically or musically, you won't be able to improve it. That's why you always need professionals or well-trained engineers. If people record or mix at home I strongly suggest to always listen back to reference mixes and honestly compare. If your guitars sound much fatter than a major metal production you can be pretty sure in reality there's something wrong with your recording. Very often the people's rooms also cause problems. An acoustically untreated room can fool you badly. So if you don't have a proper room always use good headphones as well!" "Uh. There's so much cool stuff and talented people out there. There's the usual contenders like Andy Sneap and Jens Bogren who always make great work. Another great sounding record I just listened to is the latest CD from The New Black which I think was mixed by Jacob Hansen." "Ahhh. I don't wanna badmouth anyone's work for no reason. Generally, I do wanna say that I have the feeling that more and more people try to get away from a too clinical or faked drum sound, which I think is a good tendency. I have been working hard to even make my death metal productions modern and punchy yet natural enough that you can hear the personality of the drummer. Listen to the latest stuff from Aborted or Benighted to hear what I mean. So we've come to a point where higher, fatter and louder are not the only goals anymore. I'm usually looking for a certain vibe in productions. And a lot of people seem to do the same thing lately!" The German musician and producer Lasse Lammert has collaborated with more than fifty bands from around the world. 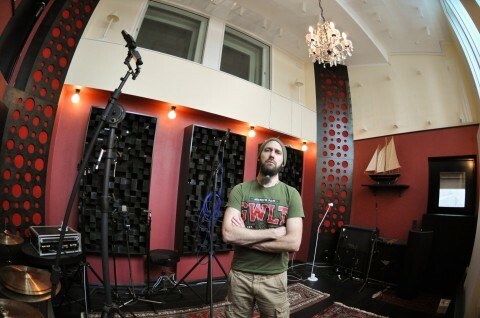 As the owner of the LSD-Studio, Lammert has worked with Alestorm, Svartsot, Halcyon Way, Synarchy, Trials, Inner Sanctum, Steel Tormentor, Lucy's Doll and many other groups. The releases, produced by Lammert, have oftentimes got into the American, British and German charts and been positively received by the critics. In addition to his work as a producer, Lammert also participated in recording albums of Alestorm, Gloryhammer, Halcyon Way, Slechtvalk, and Svartsot. He is also the guitarist of the metal band Killfloor Mechanic. "I think one of the most common mistakes is to not see the song/mix as ONE UNIT but to look at all the instruments individually, people often spend too much time trying to get the "perfect" guitar tone or snare sound, ignoring the fact that THAT guitar tone might not gel perfectly with THAT perfect snare tone… you can’t just mix and match sounds like let’s say the guitar sound from Testament with the snare sound from Korn and the bass of Overkill. Most beginners/bedroom guys rely too much on amp settings, samples, presets etc, ignoring the fact that those amp settings might only work for that particular player in a particular musical setting with that guitar, mixing and cab etc. The same goes for presets, if you grab a preset another producer used on a record, you’ll NEVER get a killer product, cause that preset worked only perfectly for that one record and that particular producer/band. Every project should be treated from scratch with a vision in mind of how it should sound, before you even start recording. Then the art is to learn how to get from square one to that sound you had in mind when you started, I think that’s the skill that separates a great producer/mixer from a bedroom guy." Nevermore — "Dead Heart In A Dead World"
Killswitch Engage — "The End Of Heartache"
Avatar — "Hail The Apocalypse"
Katatonia — "The Great Cold Distance"
…actually all of those are a bit older now ;)"
"There’ll always be Metallica’s Death Magnetic ;)"
Jonny Maudling is an English composer, keyboard player, and record producer. He is a keyboardist for the band Kull, former drummer of Bal-Sagoth, former bassist of the UK thrash band Igniter, and frequent collaborator with the English doom metal band My Dying Bride. He has contributed to three My Dying Bride’s studio albums "The Light at the End of the World", "The Dreadful Hours" and "Evinta", did orchestral parts for Sermon of Hypocrisy, and played guest keyboards on a full-length release "Ordo Bellictum Satanas" by the Ukrainian metal band Semargl. He composed music for the video game Adellion. Currently, Maudling is a producer and engineer, operating his own recording studio called Waylands Forge Studios in Yorkshire, England. "1. Letting too many people other than the mix engineer interfere with the mix. Yes, take on board comments made by those relevant, but don’t let the mix become schizophrenic and unfocused. It is like painting a picture with three or four people holding the brushes. 2. Not high and low shelving in the mix. For a more separate mix high and low shelve every track. This gets rid of artifacts in the sub-bass and high-end frequencies of the sound and creates clarity and better separation. 3. Out of time/tuning issues. Constantly check timing and tuning, every bar if need be." "Other than "Exile" by the band Kull, a mix (or production) I particularly like is the latest Carcass album "Surgical Steel". It has a warm blend and clarity that really works for me." In addition to all the above told by our experts, it should be noted that the funds spent by beginners on software and specialized hardware for home production, often reach or even exceed the costs of professional producer and recording studio services.